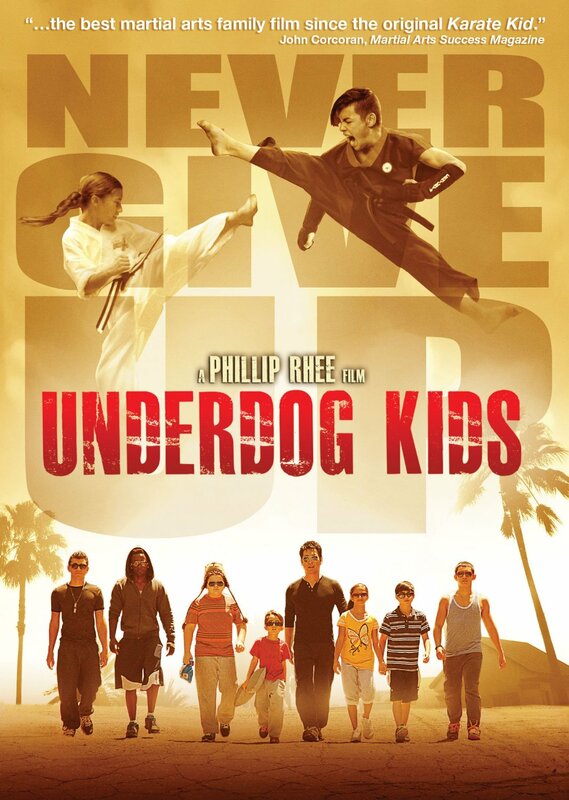 An inspiring, action-packed comedy for the whole family, Underdog Kids, written and directed by and starring Phillip Rhee, creator of the popular Best of the Best film franchise, arrives July 7 on DVD from Anchor Bay Entertainment and on Digital HD June 26 and On Demand July 7 from Starz Digital. The fun and uplifting film also stars Adam Irigoyen (Disney’s “Shake It Up!” and “Wizards of Waverly Place”), Ryan Potter (Big Hero 6, Nickelodeon’s “Supah Ninjas”), Cade Sutton (Disney’s “Kirby Buckets”), Mirelly Taylor (“Lost”), Patrick Fabian (“Better Call Saul”), Tom Arnold (Shelby, “Sons of Anarchy”) and Beau Bridges (“The Millers,” “White Collar,” The Descendants). 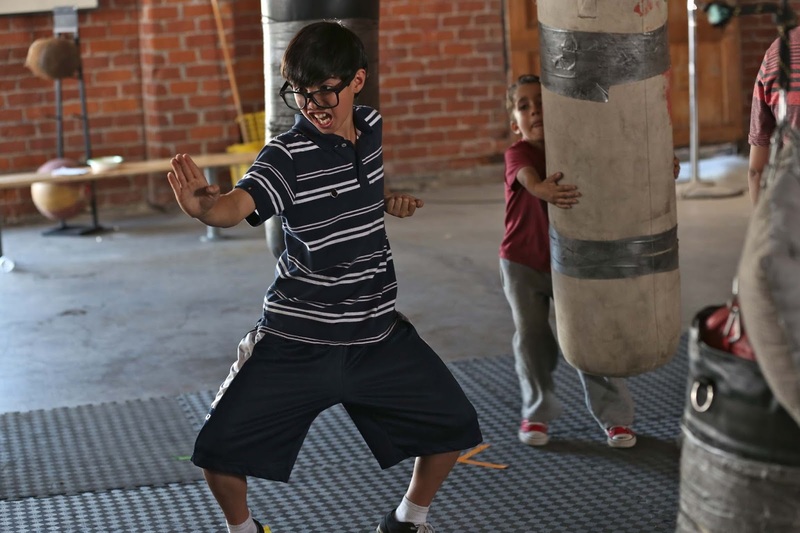 When the struggling Mid-City Community Center’s karate team loses their instructor a week before the big tournament, former MMA champ Jimmy “The Lightning Bolt” (Rhee) returns to his old neighborhood and reluctantly agrees to train the misfit bunch. Despite the struggles they face, the washed-up fighter and group of urban underdogs bravely take on the undefeated Beverly Hills Junior National Karate Team in the ultimate karate showdown at Nationals, and learn confidence, courage and honor along the way. A story about a gang of unlikely kids, Underdog Kids is a powerful movie about turning negatives into positives. 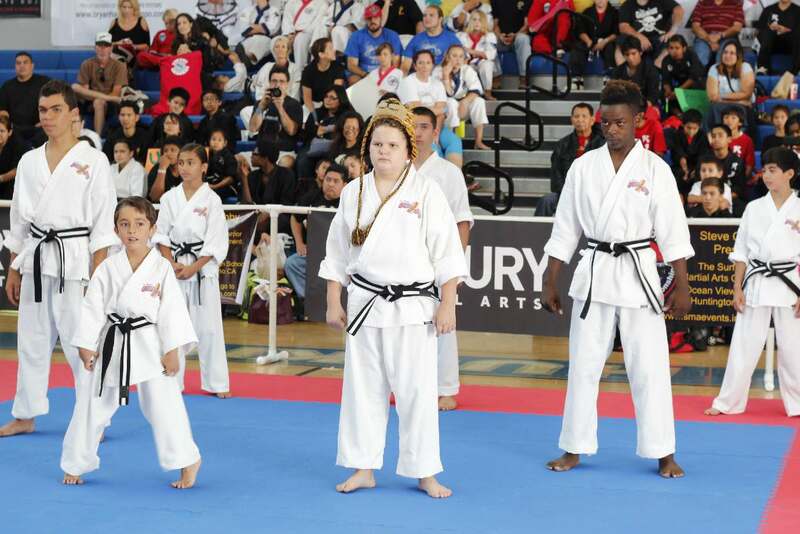 Just looking at the kids of the Mid-City Community Center, you'd assume they are weaklings who should be doing other things besides wanting to be in the sport of karate. Jimmy “The Lightning Bolt” walks on scene and shows the kids that anything is possible. Jimmy has a few things to learn himself. I particularly liked his dry, yet witty, sense of humor. You'll definitely be rooting for the underdogs the entire time! Some scenes are campy and there is some very mild violence but ultimately this is a movie about perseverance, discipline and honor. It's a great family film that reprises that you shouldn't judge a book by its cover and anything is possible if you put your heart and soul into it. One person will win Underdog Kids on DVD. My daughters enjoy playing tennis. My daughter likes field hockey. Hey Terra! Random comment here, but I couldn't find your email! Anyways, I wanted to let you know that you are currently a no-reply blogger commenter, which means I can't respond to your comments! There is a quick privacy adjustment in Blogger that allows you to have people respond to your comments. A quick Google search will remedy the situation, if you want!! Thanks for reading! My children love playing soccer. My youngest likes to swim and play basketball. My oldest is more of a reader/drama kind of kid. Our Layne enjoys playing Baseball!